OK, so they're a wee bit late. But here they are. 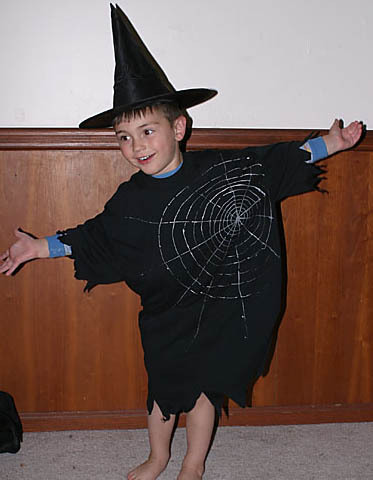 Flyboy wanted to be a witch, so I made him a witchy robe. He has worn it to sleep in every night since! T is the pumpkin carver extraordinaire. This is a close-up of his pumpkin this year. He rarely punches through the whole pumpkin, but tends to just carve away the outer layer leaving the paler flesh to give this gorgeous orange glow. Cute costume! 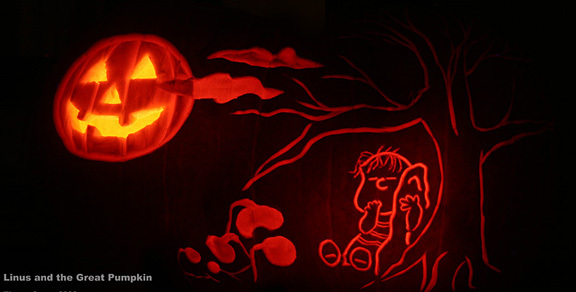 And that pumpkin is amazing!! !